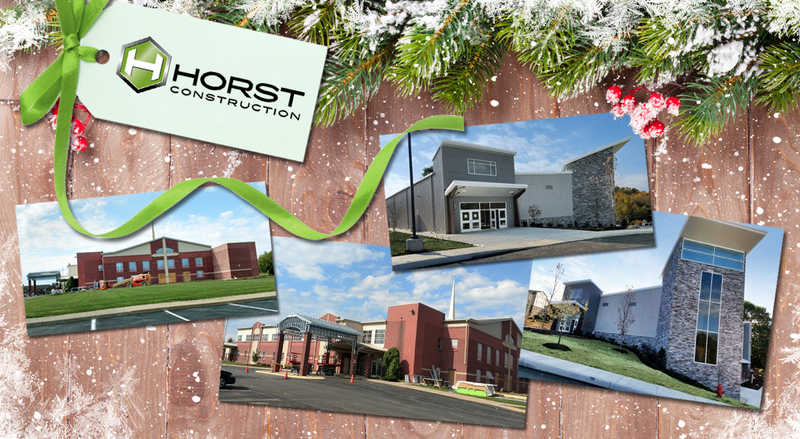 Horst is proud to announce the completion of two of its major religious construction projects: ValleyPoint Church in Glen Mills, PA and State College Alliance Church in State College, PA. While each project that Horst undertakes is completely unique and personal, what these two places of worship have in common is their greatly expanded capacity to meet the needs of their growing congregations. The new 19,000 square foot building already opened its doors this past weekend, serving over 1,000 people at its two Sunday morning services. As a contemporary, non-denominational Christian church, ValleyPoint prides itself on serving surrounding communities through its “Go Serve Love” Program, as well as international communities—with its Compassion Relief Trips to Russia, the Dominican Republic, and other countries. Horst is proud to have created a home for this Church, who had been using neighboring Garnet Valley High School for its services during construction. Horst provided master planning, preconstruction, value engineering, cost management, project management, and construction services. The architect was Cornerstone Design-Architects of Lancaster, PA. The new 20,000 square foot addition and renovation was completed this month, and met its goal of capturing the vision of the school, church, counseling center, and many education and ministry programs. This was a tremendous accomplishment, starting as a grassroots effort—with input from 118 individuals representing both the church and school, and guidance from 15 task forces—culminating in almost unanimous membership approvals and a subsequent capital campaign. Horst provided master planning, preconstruction, value engineering, cost management, project management, and construction services. The architect was Cornerstone Design-Architects of Lancaster, PA. Click here to watch the construction video from June.